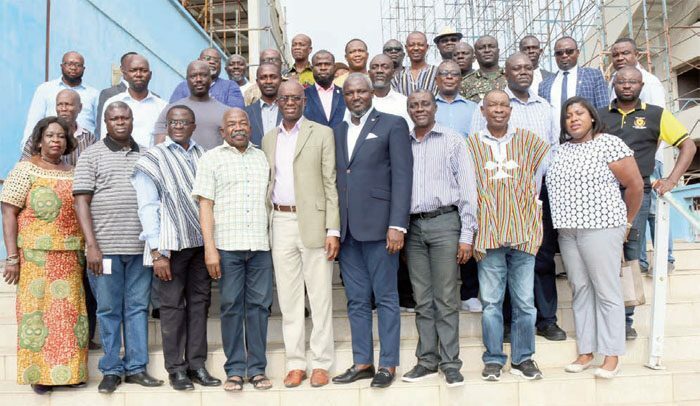 Deputy Minister of Youth and Sports, Perry Okudzeto and the Acting Director General of the National Sports Authority (NSA) has met presidents of the various associations in the country, a release signed by Charles Obeng Amofah, Ag. Head, PR Unit, NSA has stated. The crunch meeting held on Tuesday, was to discuss issues relating to sports development and its promotion in Ghana. Key on the agenda was Ghana’s bid for the 2023 All Africa Games and categorization of the various sporting disciplines under the National Sports Authority (NSA). Ghana has officially put in a bid to secure the hosting rights for the 15th All Africa Games in 2023. An evaluation team was in the country on June 9, this year to do an initial assessment. The final decision on the hosting rights will take place in Morocco between October 22 and 25 this year. The Deputy Minister made this known during the first session of the meeting. He advised the various federation heads to submit proposals to be included in Ghana’s final bid document, which will be determined in Morocco next month. He gave the assurance to the association presidents that the Sports Fund is being worked on and when complete will provide a dedicated fund for sports development and promotion in Ghana. The Acting Director General of the National Sports Authority, Abdul Majeed Bawa, who chaired the second session of the meeting, outlined a proposed categorization criterion for effective monitoring and supervision of the 43 associations in the country into three different groups. It was agreed in the end that further discussions and consultations on the proposed categorization should be done by all stakeholders before a final working document is presented to the Ministry of Youth and Sports for policy direction.